It’s Christmastime and the neighborhood is looking quite elegant. There are silver and gold bows on mailboxes. Scarlet ribbons on lamp posts. Twinkling lights on porch railings. 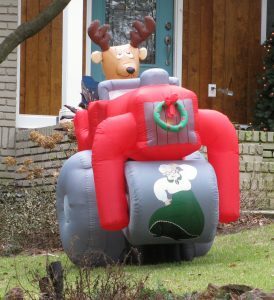 And then there’s the inflatable reindeer flattening Grandma with a steamroller.